Should I take exogenous ketones? 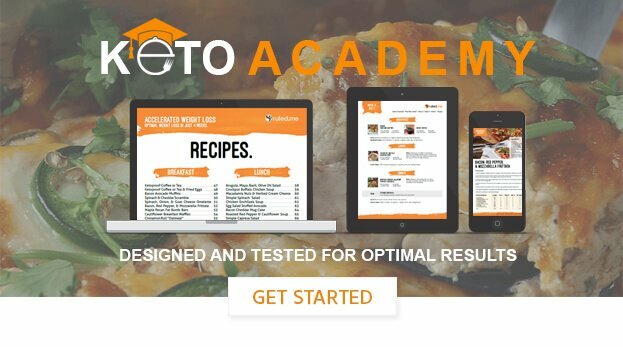 Exogenous ketones can provide you with many of the benefits of keto dieting, but they will impair your endogenous ketone production. This happens because ingesting exogenous ketones causes the liver to shut down ketone production. In other words, taking exogenous ketone supplements will boost you ketone levels in the short term, but decrease your ketone levels in the long term. This is why we recommend supplementing your diet with medium chain triglycerides (MCTs) if you want to boost your ketone and energy levels. MCTs are a saturated fat that is unlike any other saturated fat. Most of the saturated fats we consume have to travel through the lymph to the heart and muscles, leaving your liver with leftovers that might be converted into ketones. In contrast, MCTs skip the normal pathway of fat digestion and go straight to the liver where they are converted into ketone bodies right away. This happens regardless if you are on a high-carbohydrate diet or a ketogenic diet. To put it more succinctly: Ingesting MCTs will help enhance ketone production in the short term without causing any issues in the long term. For a closer look at ketones and ketone boosting supplements, check out our comprehensive article on ketones.